Here is your monthly dose of STATION F news! Featuring upcoming events not to miss, some cool blogposts to read and job opportunities! Featured: Fighters Program applications are open! We are currently selecting startups to join the Fighters 2019 Batch. Just over 6 months ago we welcomed our first 13 Fighters to Station F for our program dedicated to entrepreneurs from underprivileged backgrounds — and already we’re now officially opening applications for batch 2! Want more info? Learn more on our blog! Must read: our First Year Report with data from 1,000 startups! When people imagine an entrepreneur they generally picture a 20-something year old male in a hoodie, perhaps a college drop out coding away night and day. To check if this image is true, we decided to study the data ourselves. Discover the (surprising) data on our report! Missed the party? Watch the photos! Don’t miss out on our Summer events! ☮️July / How to integrate numerical accessibility in the development of our services? Find out the answer to this key issue in our society with INRIA, at French Tech Central! Register. Meet top European founders, C-level executives, VCs, and journalists at the leading SaaS Conference! Register. Septembre / ChangeNOW Summit, discover hundreds of solutions that can change the world! The international rendez-vous of innovations addressing our most urgent global issues. Register. October / Techfugees Global Summit is back! Bringing together innovators across the world to build tech breaking the barriers faced by displaced people. Register. DJs, parties, World cup… Check out their weekly program on their website! 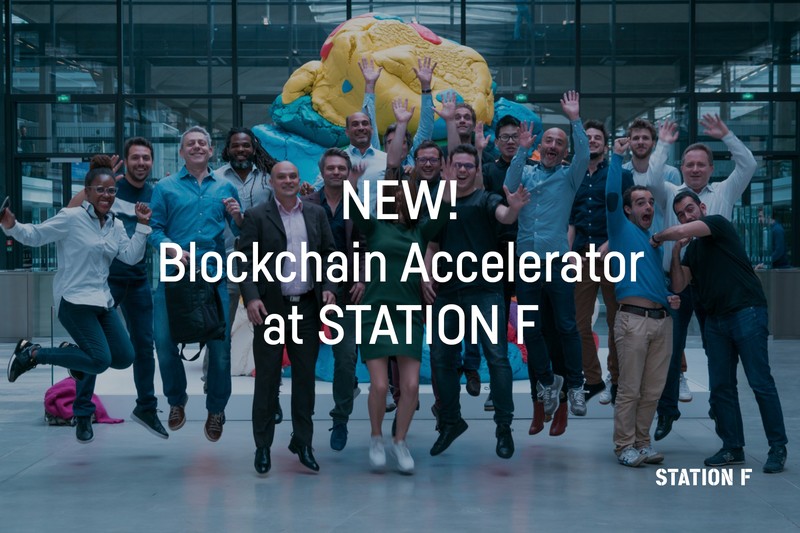 NEW startup program at STATION F: Blockchain Accelerator! 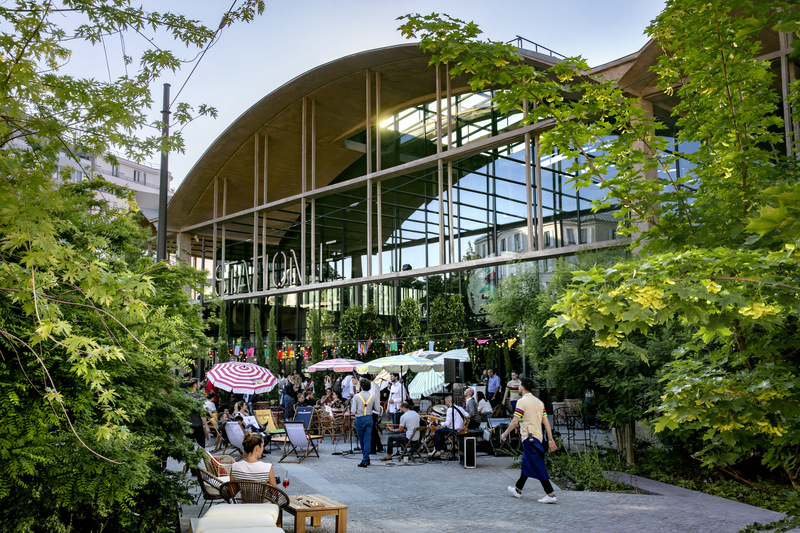 Time to be decentralized everybody: STATION F is welcoming a new startup program on campus, and it’s for blockchain startups only! Learn more on our blog. You can now navigate the inside of STATION F with our brand new Indoor Map! Thanks to STATION F startup Intripper (part of the NUMA program), we now have an indoor mapping system, and it works just like Google maps! Learn more on our blog. in Montréal for Startup Festival on July 13th! Interested in joining STATION F’s Staff? – Full stack and back-end developers: we want you to come work on our Intranet and co-living extension! – Junior Logistics & Purchasing (CDD): come work on enhancing our workspace and handle a gazillion interesting projects! YAY! We’re OPEN! After a long-awaited inauguration with French President Emmanuel Macron, Paris Mayor Anne Hidalgo and 2000 international entrepreneurs, we finally opened our doors to our first campus members! We have A LOT we want to share with you but above all, we are so thrilled to finally welcome you all to Station F. Check out how to visit and what we’ve been doing our first week. Our launch party was – well – surreal.. 2000 entrepreneurs from all around the world came to help us inaugurate. Mayor of Paris Anne Hidalgo and French President Emmanuel Macron were also present to share a Spritz and talk startups with us. Get an inside look at our launch and our first week up and running. A very special thank you to the 80+ volunteers that helped us (pictured below)! Wanna see some more pictures? Check out our Facebook album! 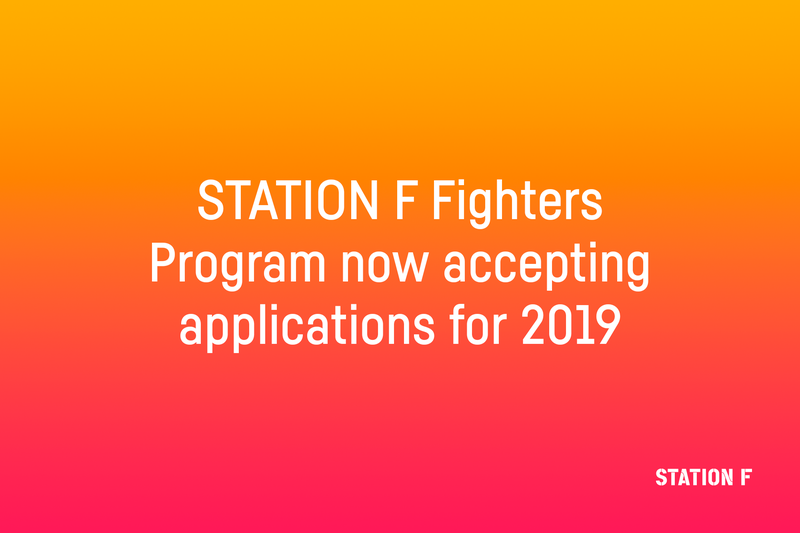 On the day of our inauguration, we announced the launch of our 26th startup program: the Fighters Program, STATION F’s in-house program for entrepreneurs coming from diverse or underprivileged backgrounds. Starting July 3rd (right after our BIG FAT launch party), we opened our campus to our residents. Our first week has been nothing short of thrilling. We welcomed over ⅔ of our startup programs and kicked off the Founders Program. You can find a full overview of our first week here (including our cheeky security video featuring some members of the Station F team). 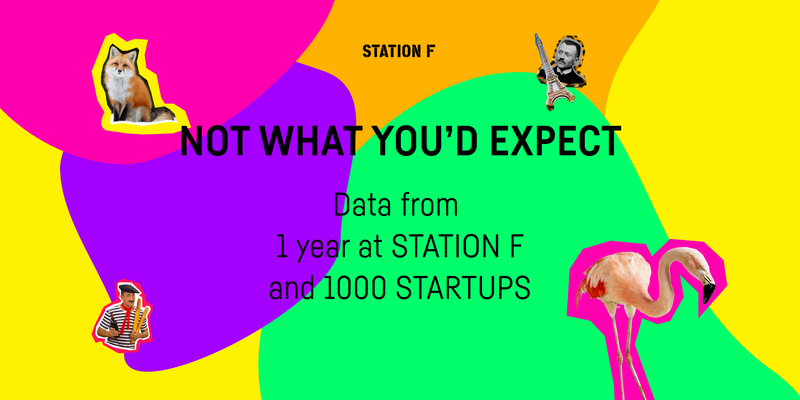 So, you want to visit STATION F? Wondering if you can visit the campus? Well, of course you can! However, certain areas are only accessible for our residents (we need to help our startups stay focused!). We do have several public spaces that are open to the public including 2 public passages that allow you to see through the building. For more information about visiting and public spaces, see our website. Next week: We announce the selected Fellowship members. July 14th, 2017: Bastille Day, what else? September 18th, 2017: The Fellowship members can move in! October 2nd, 2017: deadline to apply to the Fighters Program. January 2018: Fighters Program begins. The New York Times featured us on their cover! You have minimum 2-3 years of previous experience in facility management, logistics and security in France. You are passionate about startups and ready to tackle a 34,000 sq meter building. Social media/content: produce content at Station F for platforms likes Snapchat, Instagram, Facebook, write long and in-depth blog posts and create funky gifs, launch our Youtube strategy and much more. Bilingual French/English a must! Startups/partnerships: help our startup and partnerships team to get the best deals for our startups, participate in the selection process and the content of the program for startups. A warm welcome to our 2 new recruits: Marine and… Marine! During their first 2 weeks, they managed our inauguration, onboarding of thousands of entrepreneurs, and setting up the campus. Hell of a way to start a new job! Last but not least, this month’s absolute FAV gif from our team. What’s yours? Startup Scaleup is a 6 month accelerator program, enabling accepted startups to receive mentorship and support from the brightest IOT people in the World (to name few – Vinton G. Cerf, one of the “Fathers of the Internet” and vice president of Google and David Cuartielles – Founder of Arduino). Startup Scaleup is a no-strings attached programme; no Equity, no Cost. You will get to work with other top IoT startups, startup incubators in Ireland, Spain, Netherlands and Lithuania & leverage their mentor and investor networks. Attend an intensive “IoT’ers” Week in one of our hubs for a face to face beginning to your journey which will continue online. Get direct insights from some of the world’s top players in IoT as well as VCs, legal experts and top entrepreneurs. Corporates such as Intel, PCH International have supported our startups in previous program cycles. You will also get to celebrate the Demo Day at the largest IOT event in Europe – This year it’s Connected Conference in Paris (http://ift.tt/1cYWdqF).